Nick Spalding: Here's the story of Love... Under Different Skies! Here's the story of Love... Under Different Skies! Ever wish you could leave all your problems behind and make a fresh start somewhere else? Trade the stresses and strains of everyday life for your own slice of sun-kissed paradise on the other side of the world? Jamie and Laura Newman certainly have. So when Laura is offered a new job in Australia, the Newman family think their dreams have come true. But as the old saying goes - be careful what you wish for, you just might get it. As the hapless couple soon find out, problems have a way of following you, no matter how far you go to avoid them. Can love survive under different skies? Love... 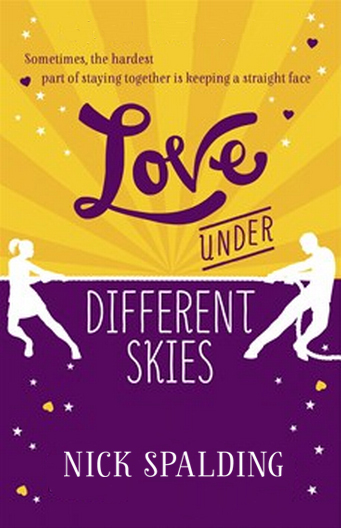 Under Different Skies will be released in ebook format on Thursday, January 31st, and in paperback later in the year. You can pre-order it now at Amazon and Apple iTunes.